Description: Dine-Aglow floating wax candles are perfect way to add ambiance to a water fountain or pond. Even float them in color bowls for and use them as table accents. These floating candles are perfect for weddings and other catered events. 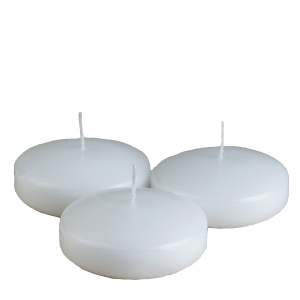 We offer our floating candles in two sizes, 3-4 hour burn time and 7-8 hour burn time.